Our local distributor for Heritage Water Tanks in Port Lincoln, employs a network of installers throughout the state that will ensure that your domestic, commercial water tank or fire tank is installed with professionalism. 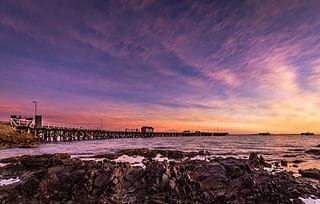 Port Lincoln is a city on the lower Eyre Peninsula in South Australia. It is situated on the shore of Boston Bay, which opens eastward into Spencer Gulf. It is the largest city in the West Coast region, and is located approximately 280 km as the crow flies from the State’s capital city of Adelaide. The city is reputed to be the “Seafood Capital of Australia”, but there is also a strong agricultural history in the region. The lack of a reliable surface water supply was a factor preventing Port Lincoln from being proclaimed the colony’s capital city in the 1830s. Even as a small town, Port Lincoln outgrew its fresh water supplies. It is now largely dependent on water drawn from groundwater basins in the south of the peninsula. The southern and western parts of the Eyre Peninsula region also share this resource via the Tod-Ceduna pipeline. The Iron Knob to Kimba pipeline completed in 2007 provides limited transfer capacity of River Murray water into the Tod-Ceduna system. Following the development of a long term water supply plan for Eyre Peninsula, the South Australian government is progressing detailed investigation of augmentation options. These including seawater desalination. Formerly a potable water resource fed by the Tod River, the Tod Reservoir was taken offline in 2001–2002 due to concerns about rising levels of agricultural chemical contamination and salinity. Along with complex water supply issues and the diversity and growth of such a varied range of industries, there has been an increasing demand for high-quality water storage facilities and infrastructure. As water is no longer the freely available commodity that it has been in the past, the community will need to have a stronger focus on harvesting and storing water in order to meet demand for future rural household and commercial supply. We operate throughout SA including Miltalie, Kirton Point, Port Lincoln, Boston, Coomunga, Duck Ponds, Green Patch, Hawson, Lincoln National Park, North Shields, Poonindie, Sleaford, Sullivan, Tulka and surrounding areas.